How does the sidebar look with it? The two boxes are for Category/Sub category and the big box under it is just Subcategory navigation. v0.14/v75 - BowDownToMe ~ Too epic to keep track of ..... 1 RB\ 13x Bucc. 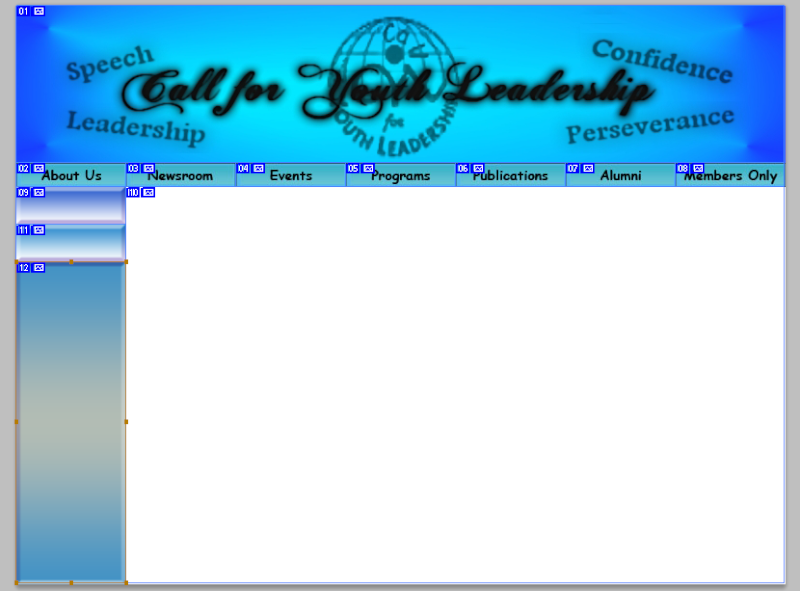 Looks nice, but it took me a while to read the black "Call for Youth Leadership" banner at the top. Try it in white, with a grey/black outline behind it?